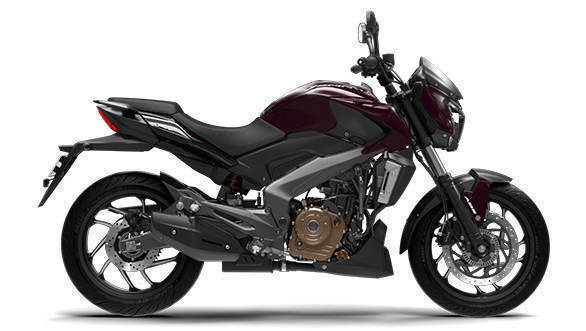 Honda Two-wheeler India has also launched the 2019 CB300R at Rs 2.41 lakh, ex-showroom, which is believed to be impressive considering its premium build quality and also the list of features that will be offered on this naked sport machine. The Neo cafe racer inspired design of the Honda CB300R will make it a unique offering among the others in its category. The 2019 Honda CB300R locks horns with the likes of the BMW G 310 R that is one of the premium offerings in that space with loads of appeal. 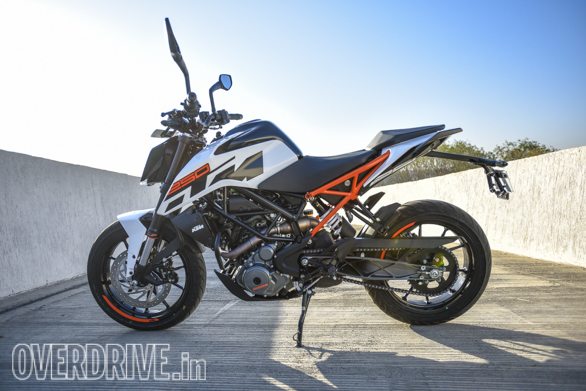 Then comes the KTM 250 Duke, that banks on the popularity of its elder sibling, the 390 Duke - a benchmark when it comes to performance and styling. 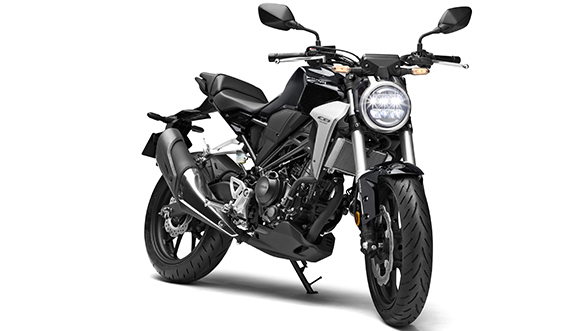 The CB300R will also compete with the larger-displacement offering, the Dominar 400 that comes with a big-bike styling and is priced attractively. While a real world comparison of these motorcycles will give a final verdict, here's a detailed look at how these stack with each other in terms of numbers. The popular phrase "there is no replacement for displacement" finds its relevance here. It is the Bajaj Dominar 400 that stands out from the others with a displacement of 373cc whereas the smallest engine is that of the KTM 250 Duke. The most powerful and torque-y motorcycle of the lot also happens to be the Dominar 400 that generates 35PS at 8,000rpm and makes 35Nm at 6,500rpm. These numbers do not make the Dominar 400 a track scorcher like the KTM 390 Duke but is more focussed towards highway cruising. The G 310 R makes similar power but at a higher rpm. 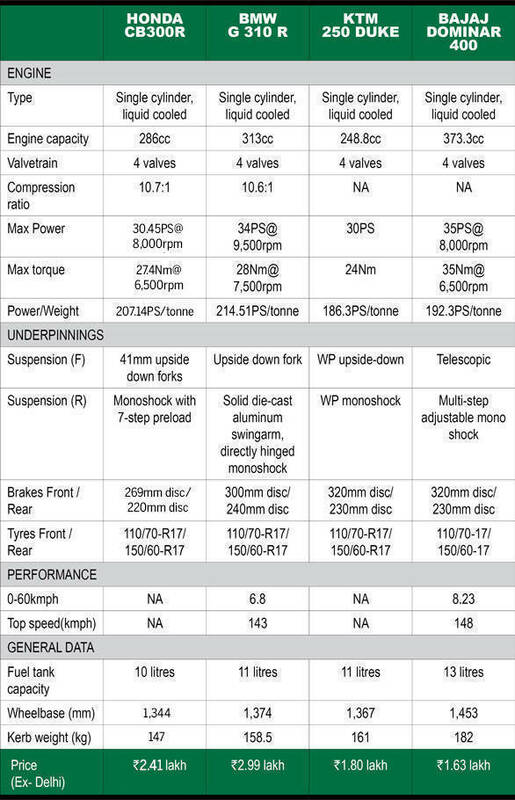 The Honda CB300R and the KTM 250 Duke are similar when it comes to power output, except that the CB300R makes comparatively more torque. In terms of power to weight ratio, it is the Honda CB300R which is the lightest motorcycle in this segment with an impressive figure of 220.27PS/tonne. The Honda CB300R's frame is made of tubular and pressed steel where the swingarm is manufactured from steel plate giving the whole motorcycle a minimalistic look. The KTM 250 Duke and the BMW G 310 R make use of a Trellis frame whereas the Bajaj Dominar 400 is based on a twin-spar perimeter frame. The Honda CB300R, BMW G 310 R and the KTM 250 Duke get premium upside-down front forks while the Bajaj Dominar 400 gets a more conventional telescopic unit. The rear unit on all the four motorcycles makes use of a preload adjustable monoshock unit. In terms of dimensions, the Bajaj Dominar 400 has a wheelbase of 1,453mm which makes it the longest of the four whereas that of the Honda CB300R is 1,352mm, which should make it fun around corners especially since it is the lightest in the segment. This could also mean that the Honda CB300R could be the most efficient motorcycles in this range. All the four motorcycles are offered with ABS as standard and come with a similar list of features. But what sets the Honda CB300R apart from the other three is that it comes with IMU (Inertial Measurement Unit) which offers precise front-rear distribution of ABS, depending on the vehicle's position controlling the roll, pitch and yaw of the motorcycle. And finally the pricing of these four motorcycles. The Honda CB300R has been launched in India and is priced at Rs 2.41 lakh, ex-showroom. 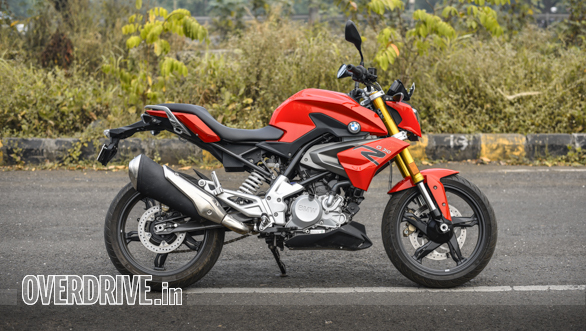 The most expensive motorcycle in this range is the BMW G 310 R at 2.99 lakh. Also, for the same amount, one can opt for the much much larger Royal Enfield Interceptor 650 parallel-twin. Interestingly, the Dominar 400 is priced at Rs 1.63 lakh which is the lowest among the four. It needs to be seen where Honda will position the CB300R in this mix. Let us know your pick from these motorcycles in the comments section below.